We created impulse-music.co.uk to help solve these problems. Find out how Impulse Music Consultants can help you advance your career with affordable online promotion. Impulse is a promotional site that presents musicians individually and uniquely, but at the same time, provides them with the many benefits of a collective environment. There are different levels of service which can be adapted to your needs and budget. When you want to take advantage of special promotions or marketing campaigns, we have the tools and time to do this for you. As professional musicians ourselves (Sarah Rodgers – composer, Geraldine Allen – clarinettist) we know what matters to you and have built a service that provides maximum effectiveness with minimum hassle. That means you can devote more of your time to your creative enterprises. Promotion On the Impulse website we enable you to promote your career with the focus and emphasis you want. Collective Environment Here you can take advantage of being part of a portal that specialises in musicians – appear on our people wall and advertise your news and events. Visibility on an established music site Benefit from a long established and respected web presence that has been recognised by Google as an Authority site, guaranteeing high search engine rankings. Access to professional help and expertise Get that need-to-know bit of information on copyright and royalties or advice on marketing and promotion through our expert advice, tips and know-how. Marketing opportunities We can work with you to create marketing campaigns that give a special promotional focus when you need it. A reliable professional service Impulse has had a presence on the Internet for 18 years and as one of the longest standing classical music sites on the web you have the security of knowing you have a well trusted and established site backing you. Affordability The service Impulse provides is devised to be affordable for musicians and to provide excellent value for money for the level of service you require. Payment Options For most service levels, we offer the option of paying monthly to help you manage costs while ensuring continuity of your marketing and promotion. Distribution and sales Through the Impulse partner webshop, tutti.co.uk you can make your publications and recordings available for sale worldwide. tutti takes care of secure payment by credit card, warehousing and despatch, and on downloads, manages the complex European rules on VAT. Geraldine Allen and Sarah Rodgers first met in 1984 when they were elected members of the Royal Society of Musicians in London. They are both passionate about supporting and promoting the work of classical performers and composers and created one of the first classical music sites on the internet, launching in 1995. This was followed in 2000, with the creation of tutti.co.uk for the sale of recordings and sheet music. 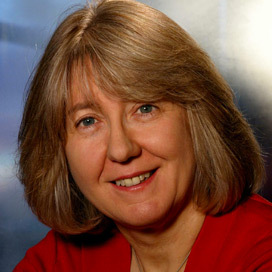 Geraldine Allen has had an extensive career as a clarinet soloist, broadcasting for BBC Radio 3 and performing internationally with a repertoire that specialised in British contemporary music. As well as her career as a performer she has been professor of clarinet for the Spanish National Youth Orchestra, examiner for the Guildhall School of Music and Drama and Warden of the Private Teachers section of the Incorporated Society of Musicians. She has been an adviser to the Arts Council of England and East Midland Arts Board. Her publications include Clarinet Realities, a guide for the adult performer. Geraldine is also highly experienced in major charity fundraising (gaevents.co.uk) giving her expertise and insights into effective marketing and promotion which she applies through Impulse. Sarah Rodgers is a professional composer and conductor. A direct descendant of Henry Purcell, her music has been performed across the UK, as well as in Belgium, Holland, Russia, China, the USA and Australia and New Zealand. She is recorded on the SOMM label and published by OUP, Stainer&Bell, Recital Music and Impulse Edition. Her work has also been broadcast on BBC Radio 3 and Classic fm. Sarah is a former Chairman of BASCA (British Academy of Songwriters, Composers and Authors) and founder and Chairman of the prestigious annual British Composer Awards from 2003 to 2013. At the forefront of supporting the rights of composers she has a particular interest in music copyright and was been a Director of the MCPS (Mechanical-copyright Protection Society Ltd.) for 17 years. 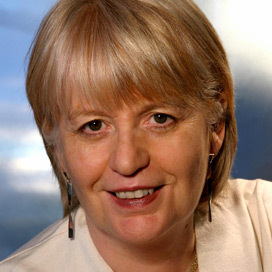 In 1994 she was elected a Fellow of the Royal Society of Arts. 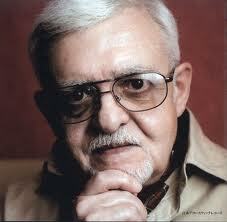 Nikolai Kapustin is a composing sensation. His style is classical jazz fusion – think Scriabin and Jelly Roll Morton! His repertoire includes extensive piano music together with works for flute, violin, saxophone, cello and string quartet. tutti is a main distributor for Kapustin’s music and new titles are being added as they are published.